By 1965, Jan & Dean were riding high. They’d minted a dozen top-40 singles, including the chart-topping “Surf City,” collaborated extensively with Brian Wilson, hosted the T.A.M.I. Show, filmed a television pilot, begun work on a feature film, and as highlighted here, added comedy to their stage act. As the last album owed to Liberty, Filet of Soul, was apparently too outre for a label looking to milk the last ounce of profits from a departing act, so a more conventionally edited version was released in 1966 as Filet of Soul – A Live One. The full length original record, with sound effects and comedy bits intact remained in the vault, unreleased for more than fifty years, until now. 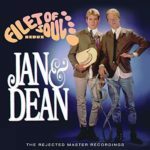 Although technically a contractual obligation album, Jan & Dean used the opportunity to experiment, rather than simply complete their obligation. The duo brought members of the Wrecking Crew to the Hullabaloo Club for two nights of live recording, and then tinkered with the tapes in the studio. As they sweetened and edited the live recordings, they sought to offer something interesting, while not giving their soon-to-be-ex-label chartworthy new material. The answer was to present a live set of cover songs augmented by sound effects and satirical comedy bits. Except it wasn’t an answer to their contractual obligation, as the label rejected the master and demanded more songs. To appease the label, several songs from the duo’s television pilot were added, but so too a spoken word piece that was sure to raise the label’s ire. But before the lawyers could engage, Jan Berry was involved in the auto accident that ended the duo’s recording career. 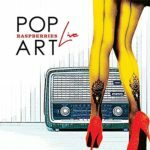 The label, seizing the opportunity to release amid the ensuing publicity, edited the album down to its songs, releasing a cover of “Norwegian Wood” and “Popsicle” as singles, the latter rising to #21. So how does the original fare? On the one hand, the label was likely right about its commercial potential among Jan & Dean’s teenage audience in early 1966; on the other, Jan & Dean clearly knew what they were doing, and were ahead of their time. The album’s opening trumpet flourish suggests something grand, only to have its pomposity punctured by the sound effect of a rooster crowing. A live take of “Honolulu Lulu” is awash with the excited screams of female fans, but the subsequent monolog, “Boys Down at the Plant,” lampoons the show business facade. The live tracks are tightly performed, if not always with huge enthusiasm, but the duo’s chemistry, command of the stage and improvisational skills are on full display. The studio manipulations and dadaistic sound effects point forward to the surrealistic rock and comedy records of the late-60s and 1970s, but haven’t the conceptual coherency that the Firesign Theater and others would bring to records a few years later. Reunions are often laden with compromise in service of nostalgia. But three decades after their last performance, this 2004 reunion of the original quartet makes no concession to the passage of time, changing tastes in popular music, nor the yearning for one’s glorious youth. This was a rock ‘n’ roll show as vital and stirring as it would have been in 1974. The band played hard and tight, the vocal harmonies were spot-on and the songs shined with the vibrant colors of photos that had sat undisturbed in a drawer for 30 years. 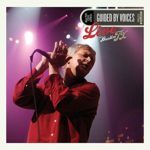 Eric Carmen gave it his all out front, Wally Bryson’s guitars had the perfect tone and touch, and the rhythm section – particularly Jim Bonfanti’s drumming – was as muscular as ever. Nostalgia might have been a spice, but it wasn’t the main course. The group’s hits – “I Wanna Be With You,” “Let’s Pretend,” “Tonight,” “Overnight Sensation (Hit Record)” and especially the set closing “Go All the Way” – are as thrilling today as they were blasting out of the radio in the 1970s. And hearing them performed live adds a dimension that many latter-day Raspberries fans missed from the band’s hey day. These are killer songs for live performance, and the band’s even more powerful on stage than they were in the studio. And beyond the hits, the band reminds listeners that they made four incredibly strong albums. Highlights include the ambitiously epic “I Can Remember” from the group’s debut, the country-styled “Should I Wait,” the harmony-rich “Hard to Get Over a Heartbreak” and Carmen’s declaratory “I’m a Rocker.” The band’s influences are heard in the Who’s “Can’t Explain” and a trio of finely selected Beatles’ covers. The latter includes an extraordinary version of 1964’s “Baby’s in Black” that affirmatively answers James Rosen’s rhetorical liner notes question “is this really as good as I think it is?” It is. Together with four extra singer/musicians (“The Overdubs”), the group is able to reproduce the lushness of their studio recordings without sacrificing the energy of live performance. As on record, Eric Carmen provides most of the lead vocals, though Dave Smalley and Wally Bryson get significant leads of their own, and their pre-Raspberries band, The Choir, is celebrated with “When You Were With Me” and “It’s Cold Outside.” This is a long, satisfying set, and though Carmen’s voice must have been weary by the time they closed with “Go All the Way,” he’s solid in reaching for the song’s highest notes. Initially planned as a one-off to open Cleveland’s House of Blues, the fan response led to nine more dates, including a tour-ending Los Angeles gig. They did a few shows in 2007, and capped their reunion activities with a 2009 show at the Rock and Roll Hall of Fame. This October 1988 date found Yoakam headlining a bill with his hero and mentor, Buck Owens. Yoakam had rescued Owens from self-imposed retirement earlier in the year, and together they topped the chart with a remake of Owens’ “Streets of Bakersfield.” The day before the show, Yoakam’s third album, Buenas Noches from a Lonely Room, crested at #1 on the Billboard country chart, and it would go on to net Grammy, ACM and CMA awards. Owens opened the show with a tight 30 minute set (available on a companion volume), with Yoakam joining him for “Under Your Spell Again.” Owens returned the favor during Yoakam’s set to sing their recent chart topper. As on the duet sung together in Owens’ set, the happiness shared by Yoakam and Owens in teaming up for “Streets of Bakersfield” is palpable – Owens reveling in the new artistic partnership that rekindled his interest in music, and Yoakam in working with his idol and mentor. Each has such a distinct voice, that the delight in hearing them sing together continues to rise as they swap verses and share the chorus. Flaco Jimenez joins the band onstage and stays to accentuate the sorrow of “Buenas Noches From a Lonely Room,” with Joss’ fiddle and Anderson’s low strings adding mournful notes. Yoakam tells several stories on the DVD that are elided on the CD, including an account of his first meeting with Johnny Cash. 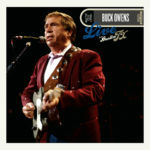 There is no shortage of live Buck Owens recordings, but nearly all of them date to his record breaking run in the 1960s. Owens was not only a terrific songwriter, guitarist, singer, bandleader and businessman, but a gifted stage performer whose personal magnetism drew fans to his tours and to his dying day, to his beloved Crystal Palace in Bakersfield. By the time of this 1988 performance on Austin City Limits, it had been more than a decade since Owens had recused himself from his music career. 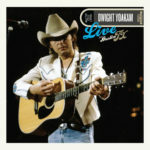 The 1974 death of Don Rich had drained his enthusiasm, and with his energy focused on the radio stations he’d begun buying in the 1960s, it took an insistent Dwight Yoakam to pry Owens out of his self-imposed exile. This October 1988 date found Owens and Yoakam on the same bill, each playing a full set and guesting on the other’s. Yoakam’s Buenas Noches from a Lonely Room had just crested at #1 on the album chart, the lead single, a duet with Owens covering “Streets of Bakersfield,” had topped the singles chart in June, and the title single from Owens’ own return to the studio, Hot Dog, would be released the following week. 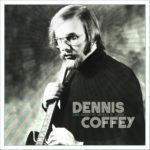 So there was a lot to celebrate on this Sunday night in Texas, as Owens showed that the layoff hadn’t impacted his musicality or showmanship, and that the latest edition of the Buckaroos, including keyboard player Jim Shaw, bassist Doyle Curtsinger, guitarist and steel player Terry Christofferson and drummer James McCarty, was sharp and powerful. 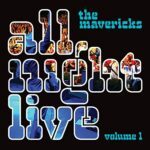 The genre-bending Mavericks launch their own label with the release of a live album that complements the earlier It’s Now! It’s Live! and Live in Austin Texas. 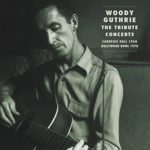 The new set shows how the band’s stage act has continued to grow in power, and by cherry-picking performances from their 2015 Mono Mundo tour, the set makes every song a highlight performance. Since reuniting four years ago, there have been lineup changes (including the dismissal of founding member Robert Reynolds) and new studio recordings, but it’s the stage show that has remained the group’s focal point. 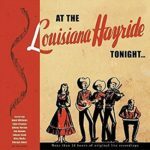 This generous 78-minute disc shows the core four-piece band, augmented by players on bass, sax, trumpet and accordion, to be as flexible as the Mavericks’ catalog. And rather than a nostalgic rehash of earlier glories, the band keeps their set fresh with material from 2013’s In Time and 2015’s Mono.